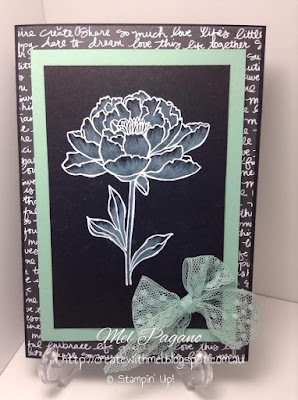 Welcome to another Eureka Team Blog Hop. 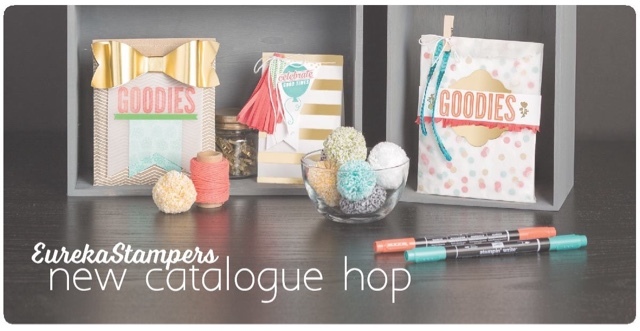 Today we are hopping around and creating some beautiful projects from our Gorgeous new catalogue. If you’re not familiar with a Blog Hop – its a term used where you can move seamlessly from one blog to another by clicking the link at the end of each post to take you on to the next person, until you come full circle. You may have come from the talented Carly Middleton or started here. Either way, I encourage you to hop all around and see what beautiful and inspiring projects everyone has made with some of their favourites from the new catty. And don’t forget to leave us a comment or two for encouragement – we LOVE it when you do! 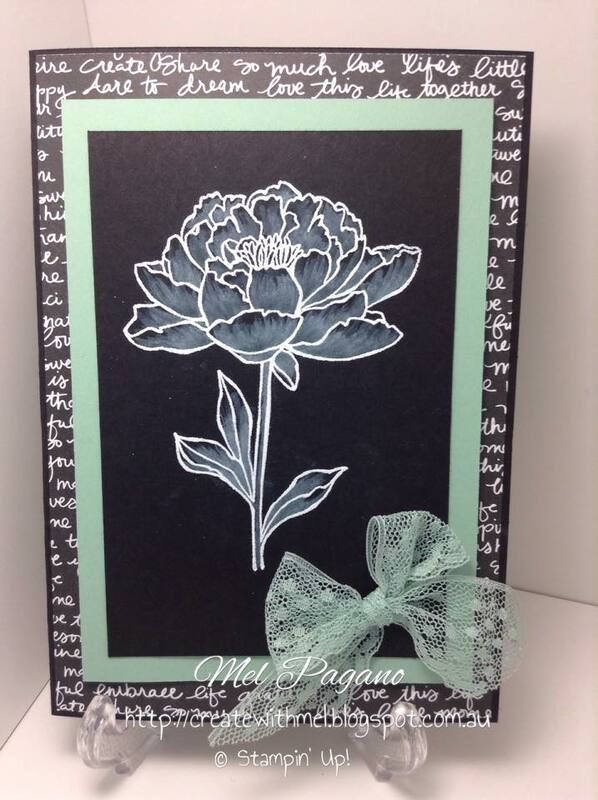 My projects for you today feature a couple of favourite stamp sets and the fantastic new Gift Bag Punch Board! This board actually enables you to make a range of bags and boxes too, in various lengths and sizes. You can see the fun I have been having creating with it alone at the end of the post. So what do I love the most about it? 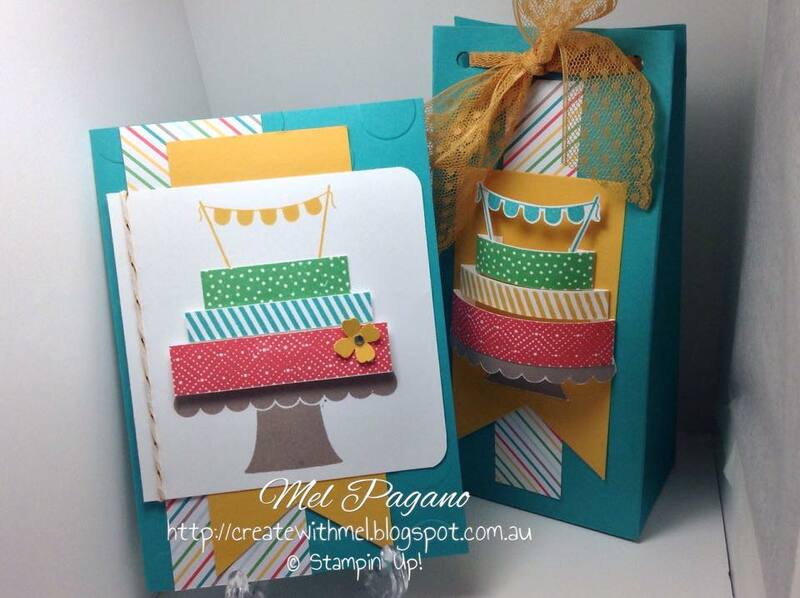 The ability to make matching cards and gift packaging. It’s perfect for that extra special touch. So on to the projects….. 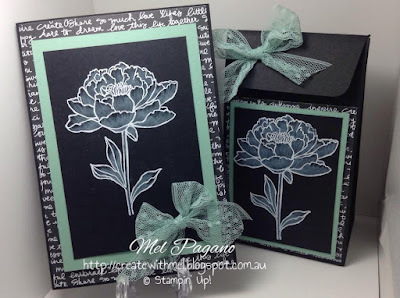 I am loving the new In Colours this year – but my all time favourite would have to be Mint Macron – so I had to use it for this project. And the new Designer Series Paper stack …..what’s not to love….all my customers adore it and find it much more ‘usable’ is the term they coined. So I teamed both up together to create this card. I have had this project in my head for weeks now! It feels sooooooo good when you finally get your ideas out of your head and into reality and they turn out just like you pictured! If you would like to see how I achieved this effect – check out my Youtube video HERE. 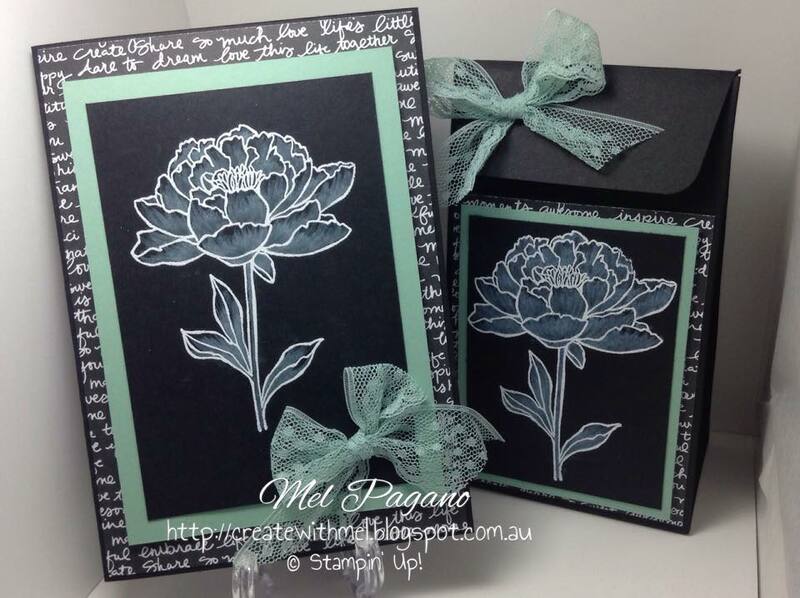 For this card, I embossed the flower image with versa mark and white embossing powder and heat set to create a distinct outline to the flower, before whitewashing the image – I love the effect. 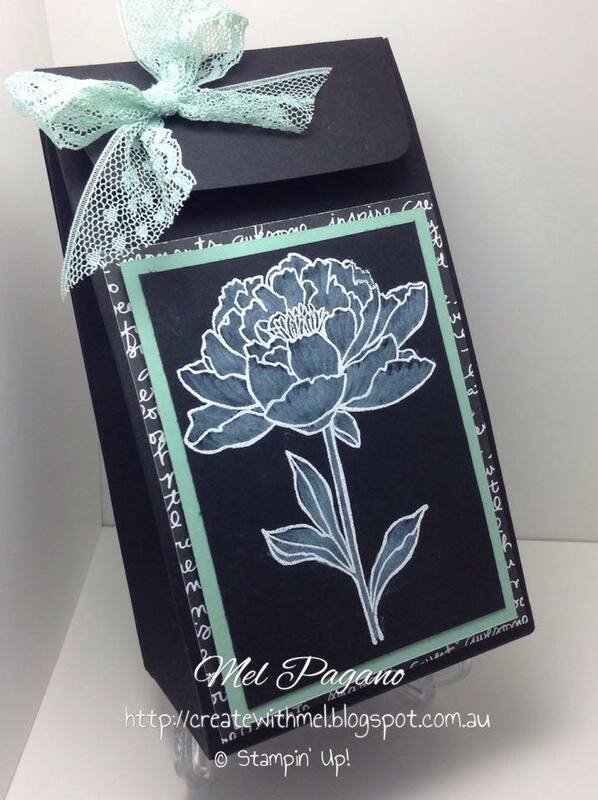 It’s very difficult to see in the picture, but once the white ink was dry, I went over parts of the image with a touch of mint macron ink to add a hint of green to the flower too. I then needed the perfect gift bag to match – so out came the Gift Bag Punch Board. 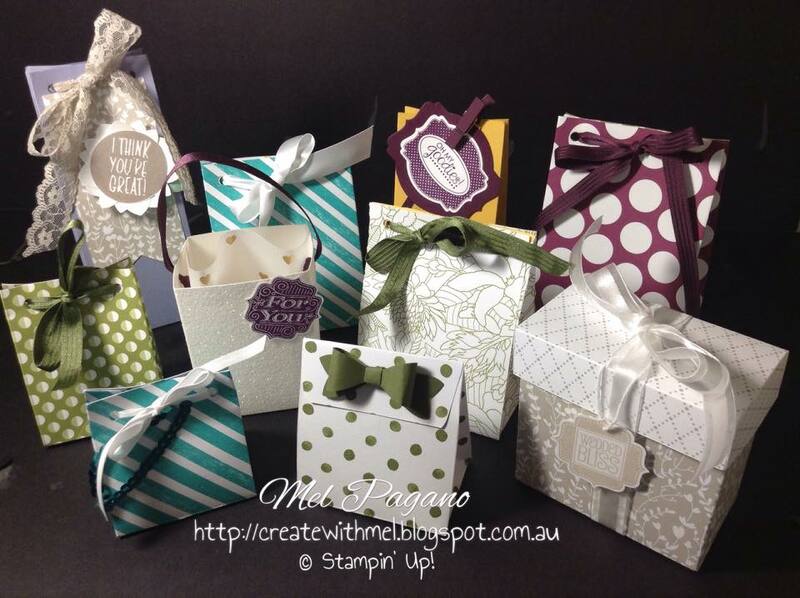 We used this at my launch to create bags that the guests then filled with lollies. Everyone loved it. 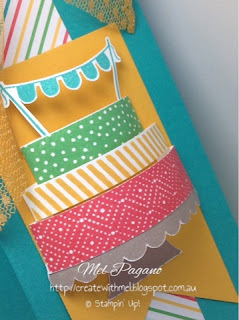 To create this bag I followed the Gift Bag Punch Boards instructions for a medium bag. The card stock is our regular A4 Black Card Stock, trimmed on the long side to 11″. You then just line up the score marks with the punch line on the board and it trims the corners of your flap with a nice rounded edge. Make your bag as normal. I sealed mine with a velcro dot so the bag wouldn’t be broken when opening to take out the gift. Once you get the hang of the board – you can create endless matching sets for any occasions. Here’s the one I made using the ‘Build a Birthday’ set, with a little bit of 3D fun for the cake! Well, I hope you enjoyed the creations you have seen here. If you would like to purchase any products, you can use the ‘shop now’ button in the left hand side bar. Now click the image below to move on to see what lovely Rose has created for you! 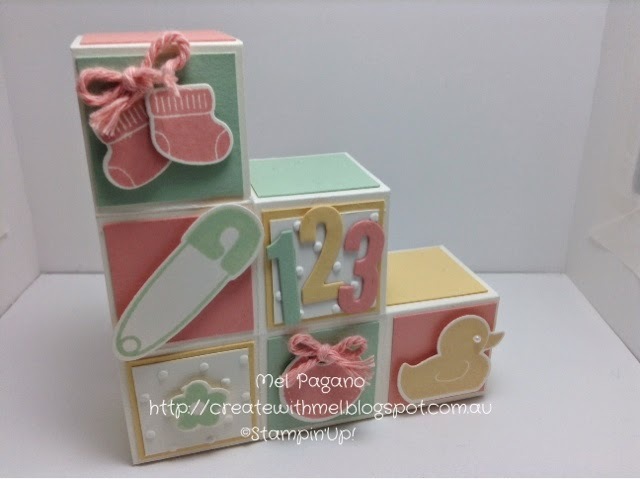 Welcome to our Awesome Team ‘Eureka Stampers’ Blog Hop! I hope you have enjoyed the items show cased so far and you have got some fantastic inspiration from everybody’s projects! 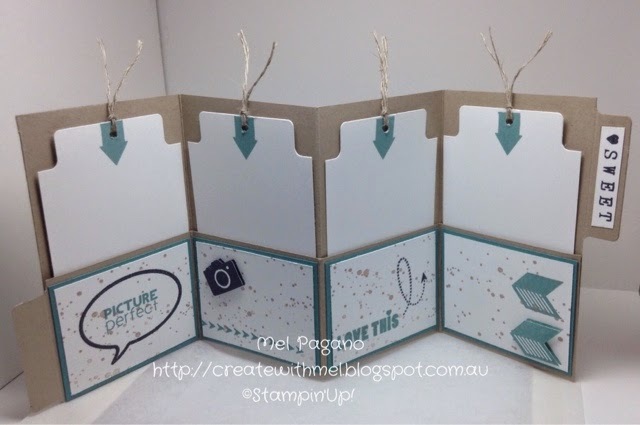 If you began from the start then you should have arrived from Jessica Williams fabulous blog ‘The Paper Caper’. One of my absolute must have’s in this catalogue is the ‘Something for Baby’ bundle. 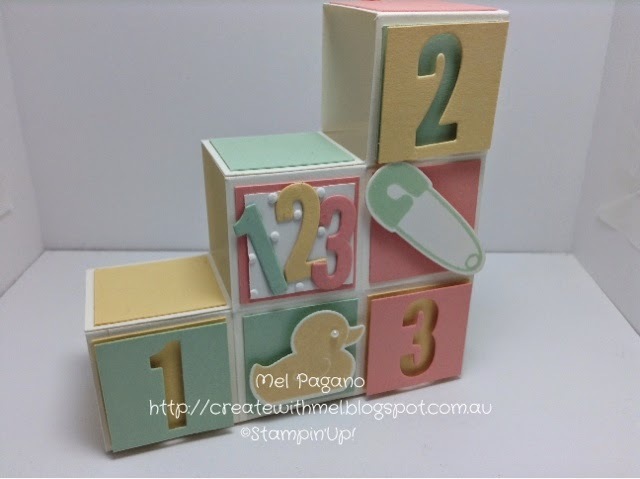 All those cute baby stamps with matching Framelits…what’s not to like! It makes it so easy to make cards and gift tags for someone’s special arrival, but I wanted to show you something different. 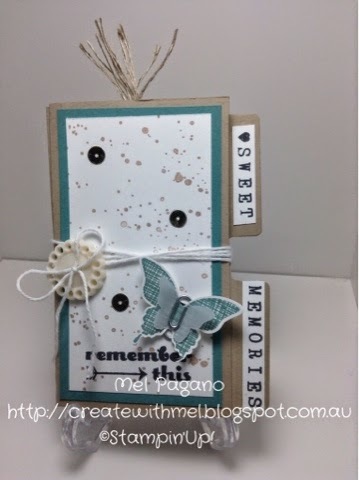 This is a ‘Block Card’ that are currently very popular and this one which I saw on Pinterest I just had to CASE it! 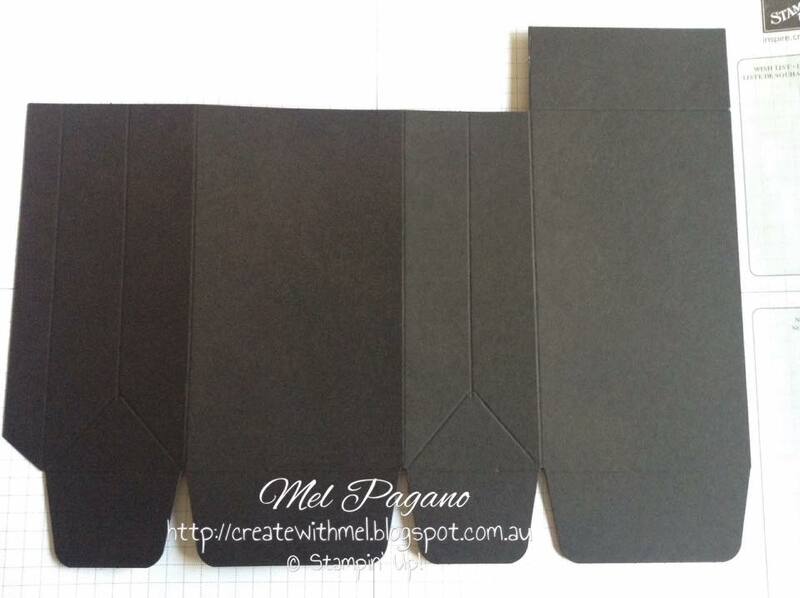 I changed the measurements so it’s smaller and folds flat into a regular sized envelope (I find that so much easier!) You can find the original here. ‘Point & Click’ and ‘Remember This’. I am loving the photopolymer range! I have tried lots of other photopolymer stamps and have never been truly satisfied with the quality of the image you get . .. but as usual Stampin’ Up! have done their research and have found a fantastic polymer product! So here is my take on this handy little journal / mini album that you could put photos in or extra journaling! It could be given as a gift or even slipped into a PL project pocket. 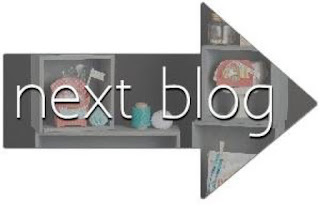 To continue on your blog hop journey – jump on over to the next blog with Fiona D’Elboux at ‘Stamping with Banjo and Me’ or follow the entire list of links below!